I often take some nice wildlife shots and am looking for advice on how I might improve them. 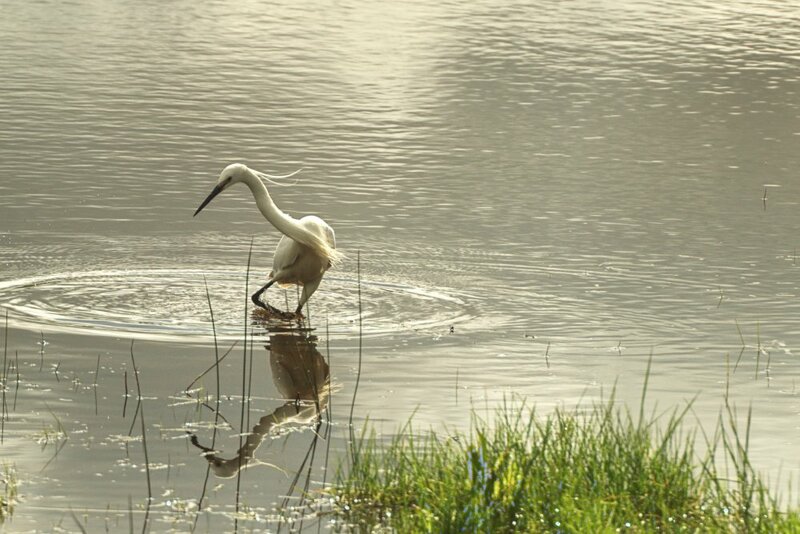 This is one of an Egret and whilst I like the subject I am not sure about the water definition. This is at Bowling Green Marshes (Exeter UK) about 9:30am but still good light. The posture would suggest that it was having difficulty extricating its foot from the substrate. I like the effect of the ripples on the water surface. It was originally walking right then as I pressed the shutter it turned to catch a fish. Just a lucky shot. I am going to re-work this one as the blue in the bushes isn't on the original image but has been introduced through 32bit processing.